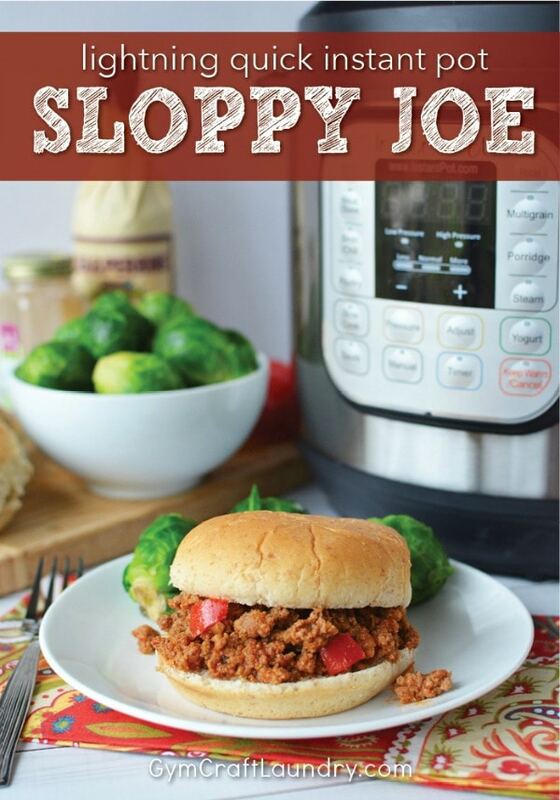 Did you know that sloppy joes are made out of unicorn meat? At least, that is what both of my kids thought for the longest time! So of course I had to put it on my weekly menu rotation. 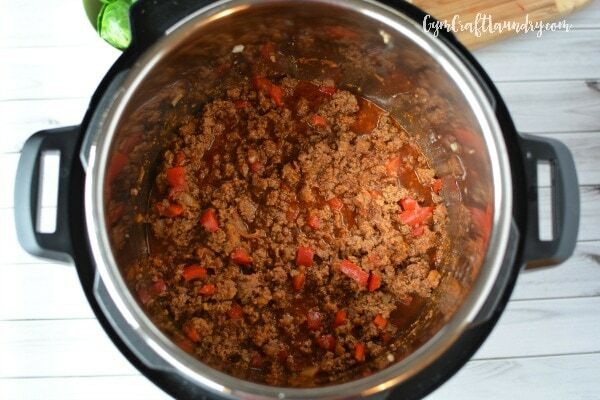 And because I am a busy sports mom (like most of you), I had to make it a lightning quick instant pot sloppy joes recipe, like my popular spaghetti sauce recipe. Sometimes I think that my whole life is spent thinking up dinner ideas for sports nights, but it’s the season of life I am in right now. And I wouldn’t change it for the world. My son asked us one day why I never make sloppy joes. He had a valid point. I distinctly remember my Dad making them for dinner all the time when I was a kid. I just never do. So of course my husband responded that it is hard to find “unicorn meat” and it’s expensive. And our kids believed him…for years! We even showed them the proof when they asked….you can buy unicorn meat on Amazon. 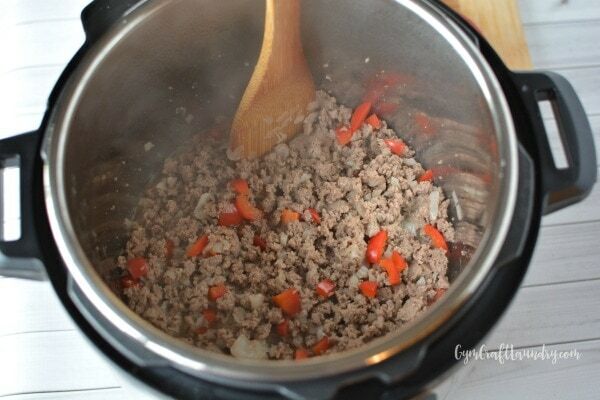 Place meat, onions and red pepper into the bottom of an instant pot. Using the sautee function, brown meat until no longer pink. 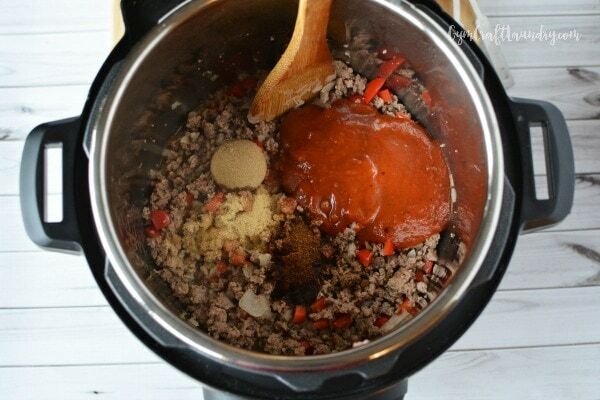 Add tomato sauce, brown sugar, chili powder, Worcestershire sauce and garlic salt to the instant pot. Stir to mix well and place the top on the pot. Close the instant pot and make sure the lid is sealed. Manually cook for 5 minutes. When the timer beeps, do a quick release (I like to toss a kitchen towel over the vent to prevent sputtering) and open the pot. Stir and serve on hamburger buns with a side dish. How easy is that! This meal is perfect for late sports practices or quick lunches during school break. We prioritize family meals and I’m always looking for quick dinner ideas so I can spend more time at the table rather than behind the stove. This delicious turkey kale and rice instant pot recipe. Add tomato sauce, brown sugar, chili powder, Worcestershire sauce and garlic salt to the instant pot. Stir to mix well and place the lid on the pot. Close the lid and make sure it is sealed. Cook on Manual for five minutes. After five minutes, quick release the pressure and open the pot. Stir and serve on hamburger buns with a side dish. 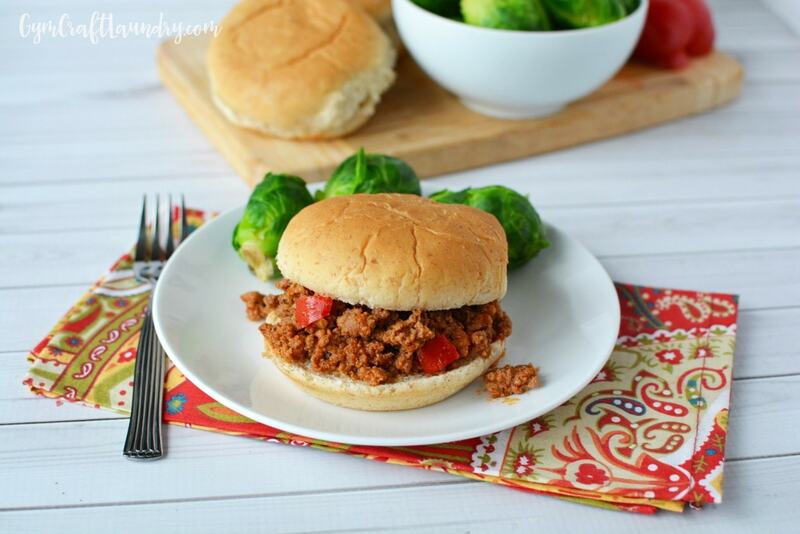 My kiddos also love sloppy joes and I make them regularly. I do not have an instant pot yet however and it appears that I may need to finally get on the bandwagon! I’m dying over the unicorn meat! 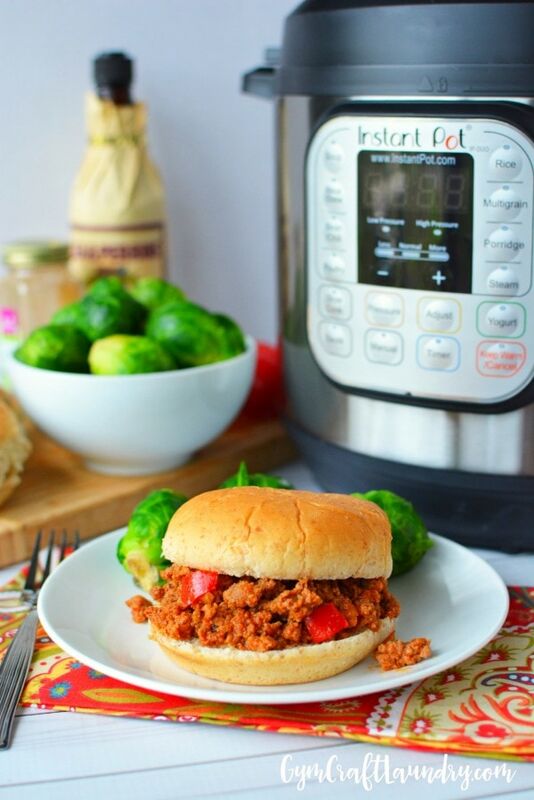 Do you add any water to your sloppy joes, thought the instant pot needed at least one cup of water to come to pressure. Hi Barbara, the can of crushed tomatoes and the can of tomato sauce should be more than enough liquid! Make sure you are using the large cans of sauce and crushed tomatoes. I use the 28 oz can. Don’t forget that the mushrooms and other vegetables also hold quite a but of water. Try adding half a cup of water to it after you are done sauteeing the meat. I also don’t have any problems with the sloppy joes but you can add half a cup of water to the meat after sauteeing it also. Ground beef is perfectly fine. We’ve moved to turkey because of a family member’s health!